Located in Salinas in Monterey County. 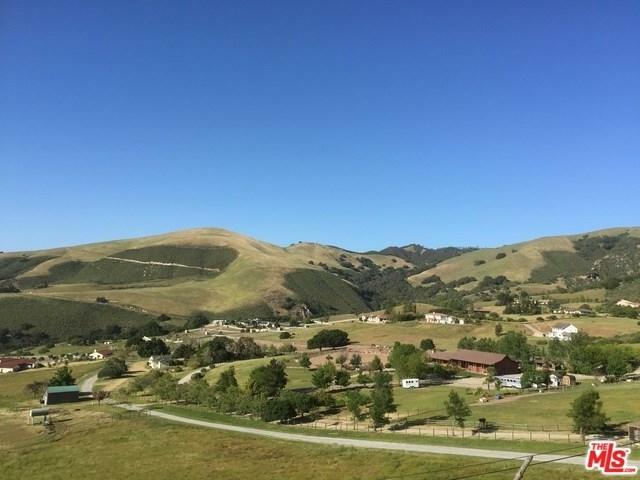 AMAZING 40.57 acre ranch with 2 HOUSES ON THE PROPERTY! Great for horses, cows, etc, or possibly plant a vineyard! Main house has 3 bedrooms/2.5 bathrooms, a great full deck overlooking Breathtaking Views!! 3 car garage with a loft on top. Fully equipped kitchen with a cozy fireplace. Breakfast bar, with granite counters, stainless steel appliances. Beautiful living-room w/fire place, dining room both with sliding doors that open to beautiful deck runs full length of the house in the back. Enclosed sun room. Master suite with great bathroom, jetted tub, double sinks, walk in closets with organizers. Laundry room 2 washers & 2 dryers. Barn, horse riding arena. Great for writers, or celebrities who want to get away from it all, but still be close enough to civilization. It is only 20 minutes to the beaches at Carmel by the sea. Property has endless possibilities!! !